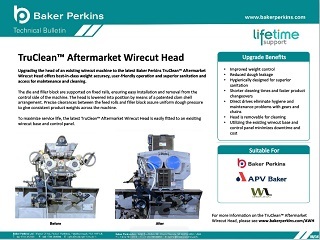 ​Replacing the head of an existing wirecut machine with the latest Baker Perkins TruClean™ Aftermarket Wirecut Head offers best-in-class weight accuracy, user-friendly operation and superior access for maintenance and cleaning. 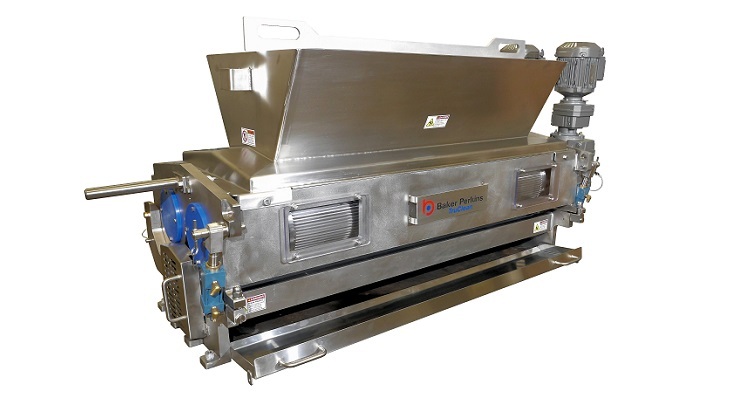 This new head was designed to be compliant with the sanitary standards recommended by the Grocery Manufacturers Association (GMA) and is engineered to match product and speed ranges specific to the customer’s requirements. The die and filler block are supported on fixed rails thus ensuring easy installation and removal from the control side of the machine. The head is lowered into position by means of a patented clam shell arrangement. 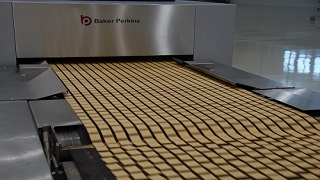 Precise clearances between the feed rolls and filler block are achieved by filler block rest pads on each side of the feed rolls that assure uniform dough pressure to give consistent product weights across the machine. 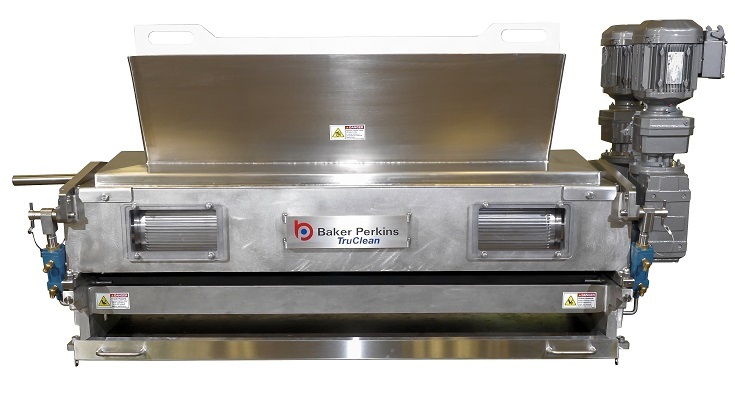 While designing for the highest possible levels of hygienic operation, Baker Perkins’ engineers have recognized that the risks are not the same in every instance and that customization is required. Sanitation Level 2: Low pressure wet and chemical cleaning including sanitizer to eliminate allergens, pathogens, genetically modified organisms (GMO), etc.